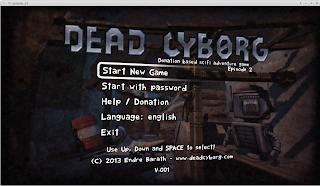 Dead Cyborg: Sci-Fi Adventure Game Episode 2 Has Been Released! 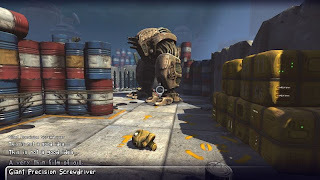 Dead Cyborg is a first person sci-fi adventure game created with Blender Engine. The game is a mixture of a FPS exploration and text adventure. Dead Cyborg contains atmospheric locations, deep storyline and mind-blowing puzzles for players who’ll like to visit an elaborate, unique storyworld. There is no action in this game, all you need to do are explore, search, and think! The first episode of the game was released a couple years ago, and this second episode is a next sequel of Dead Cyborg. The game will be published with 2-4 hours of playing per episode. 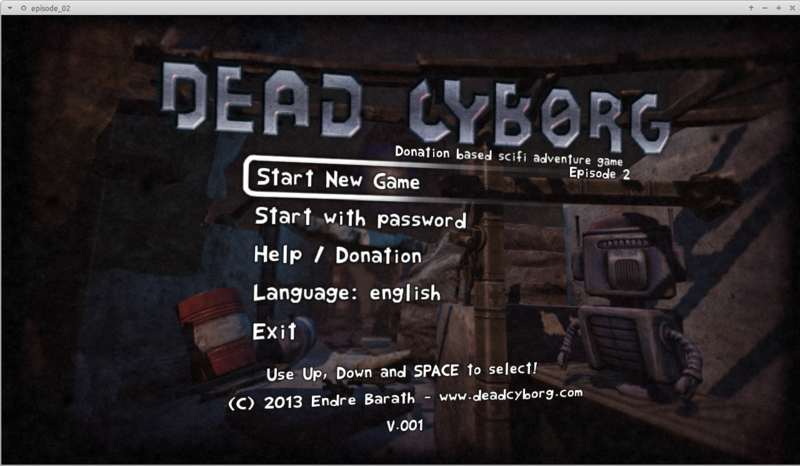 Dead Cyborg is donation based game, so a new episode will be released when enough donation is paid. The full game will have 3 episodes, so there is one more episode of Dead Cyborg will be released, there is no endless story or something like that. Please do a Google search if you have any difficulties installing those libraries. Simply, run the "start-game.sh" file to start the game, if you find any error while playing this game, please refer to the README file which is included in the archive.